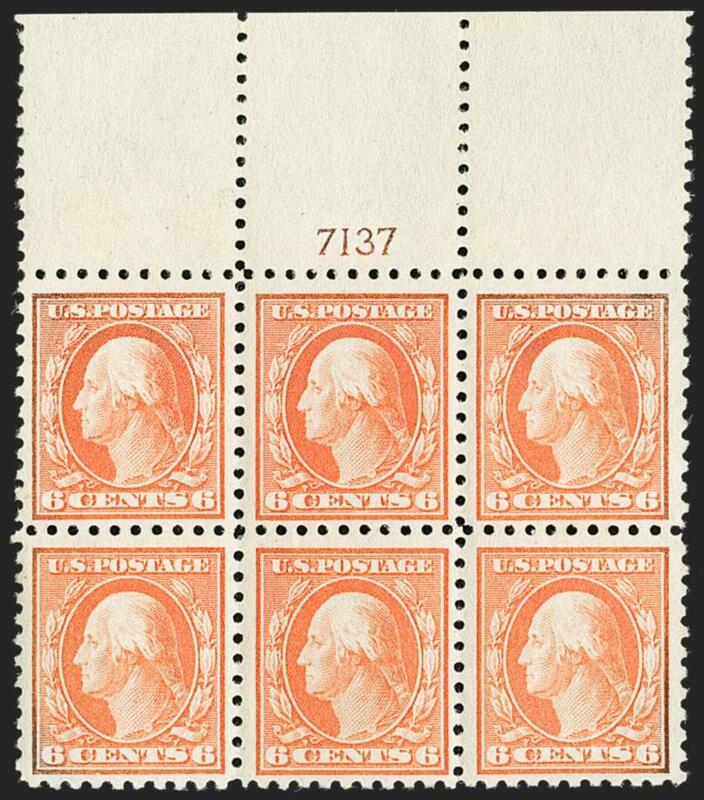 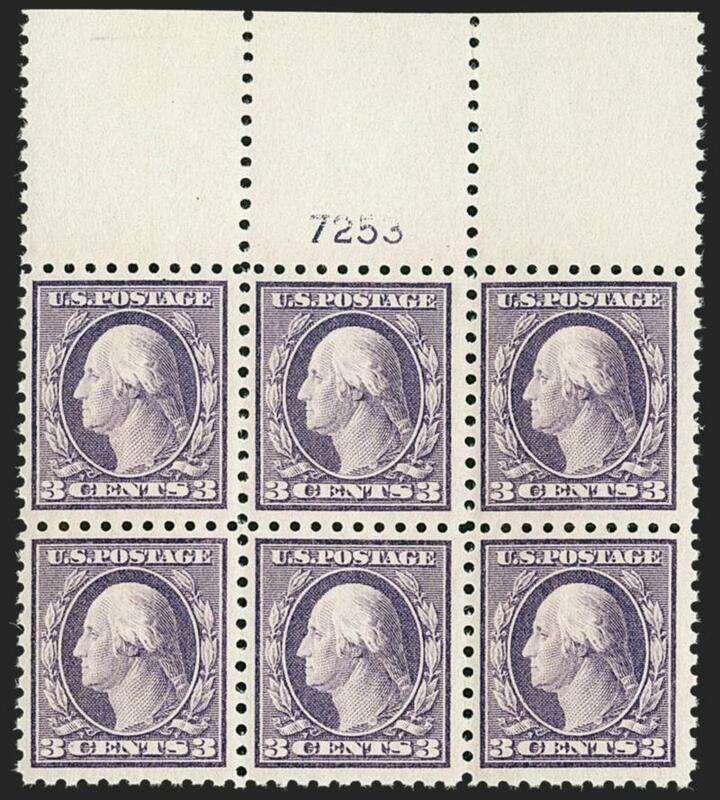 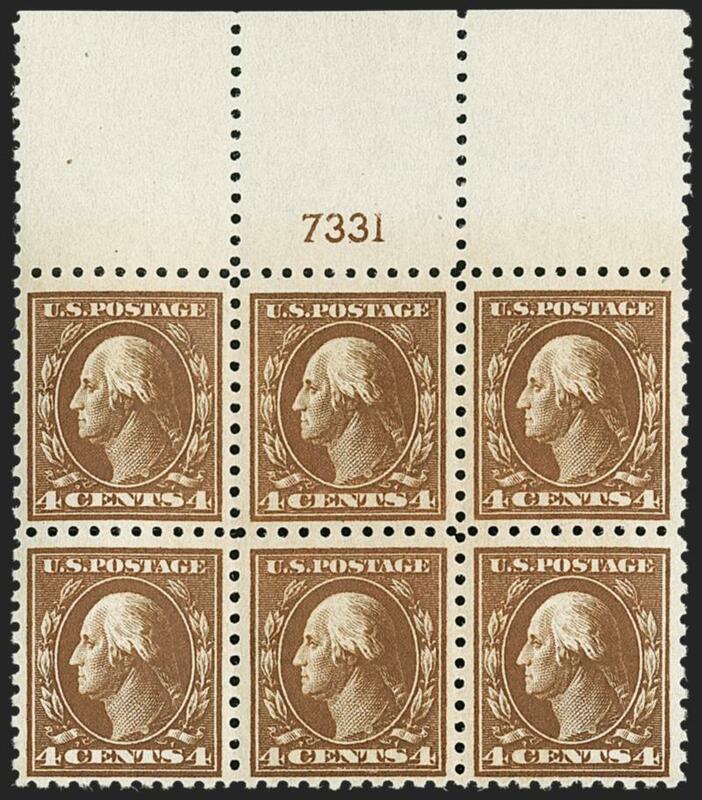 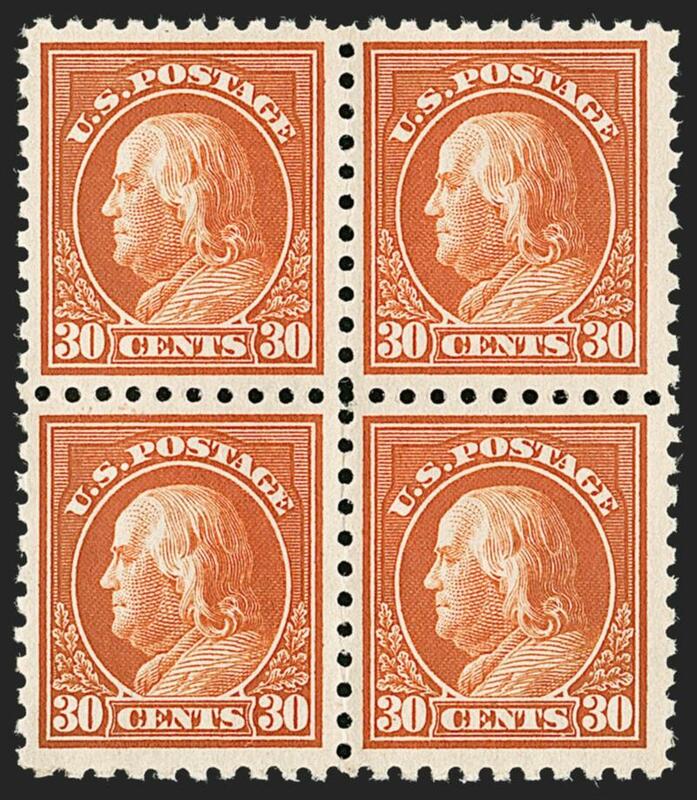 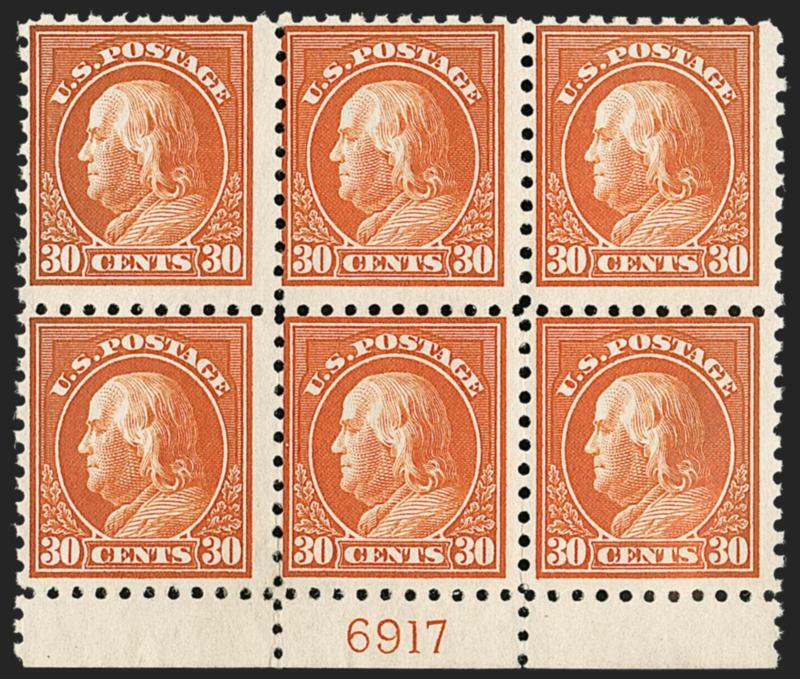 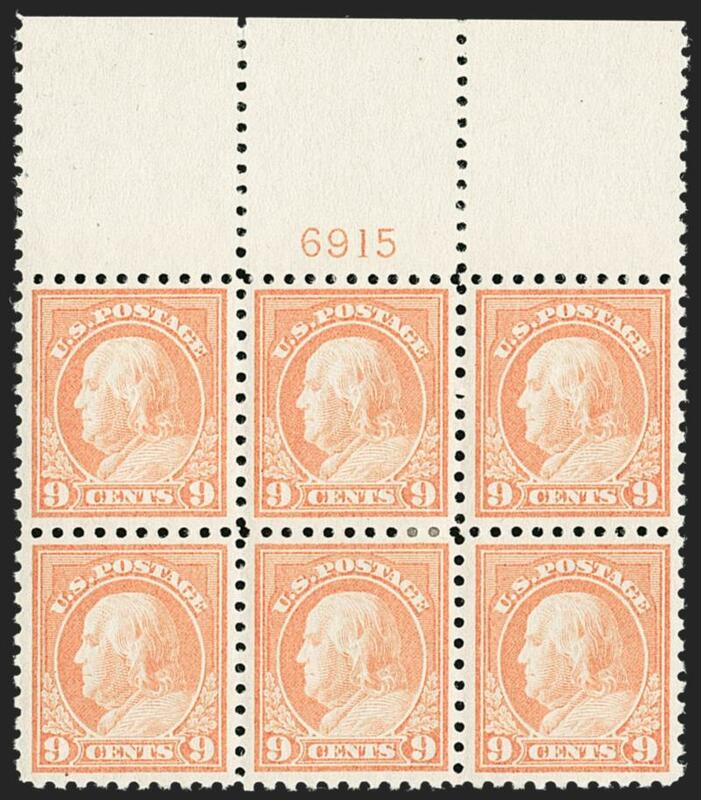 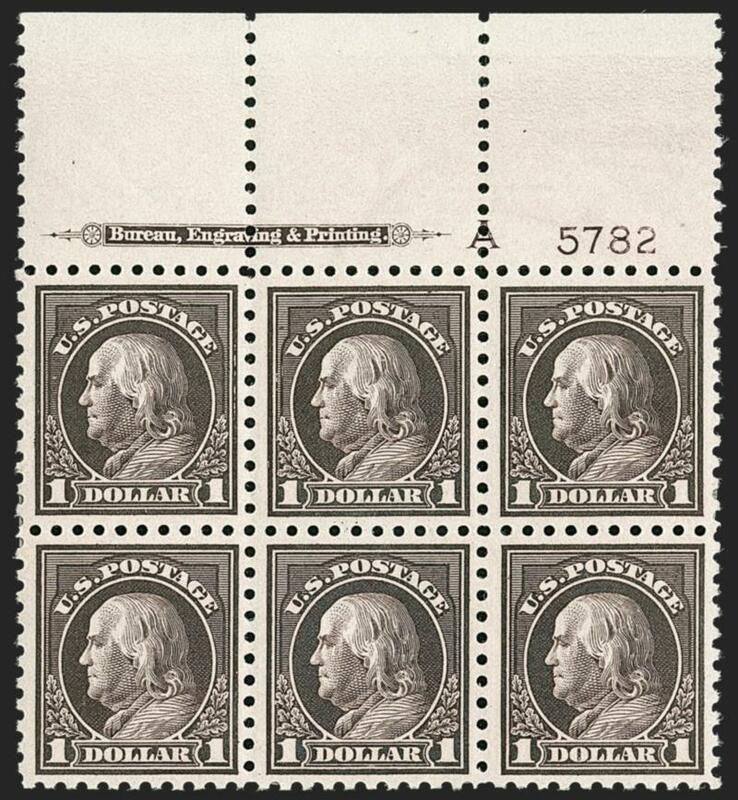 The history of the 30¢ 1916 Unwatermarked Perf 10, Scott 476A, is provided in the description of lot 244, the bottom plate block from Plate 6917 (Lower Right pane). 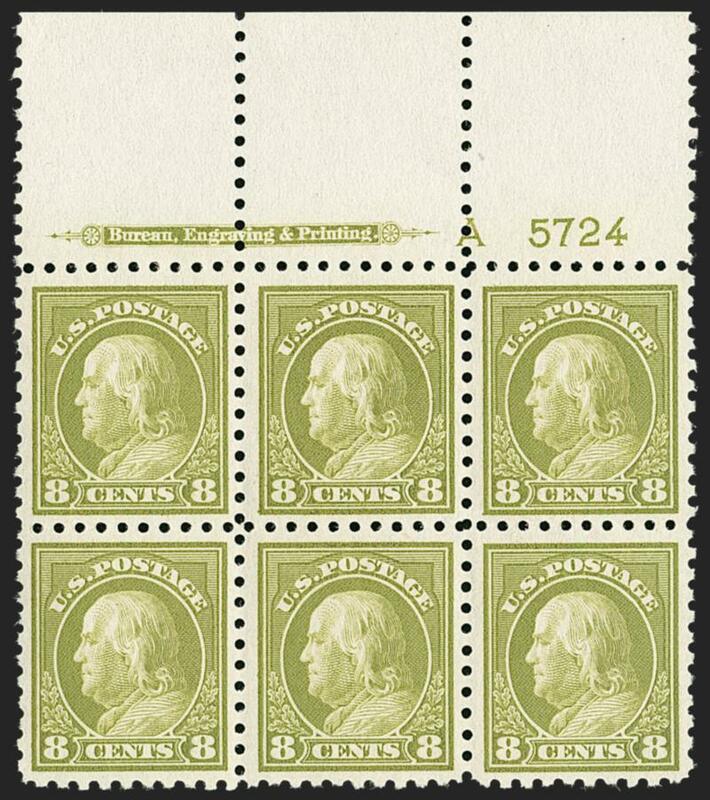 This block of four originates from the same pane, which was discovered in 1917 and certified in 1947. 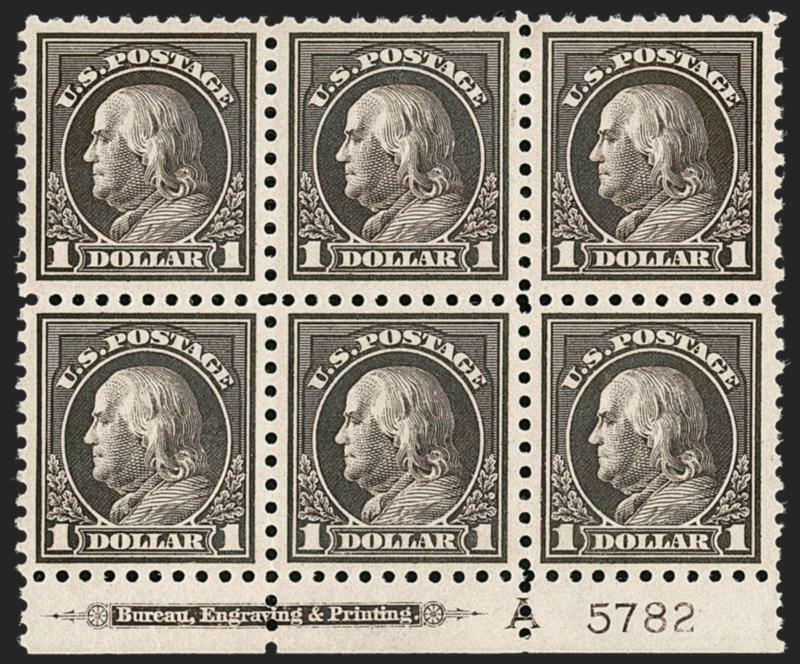 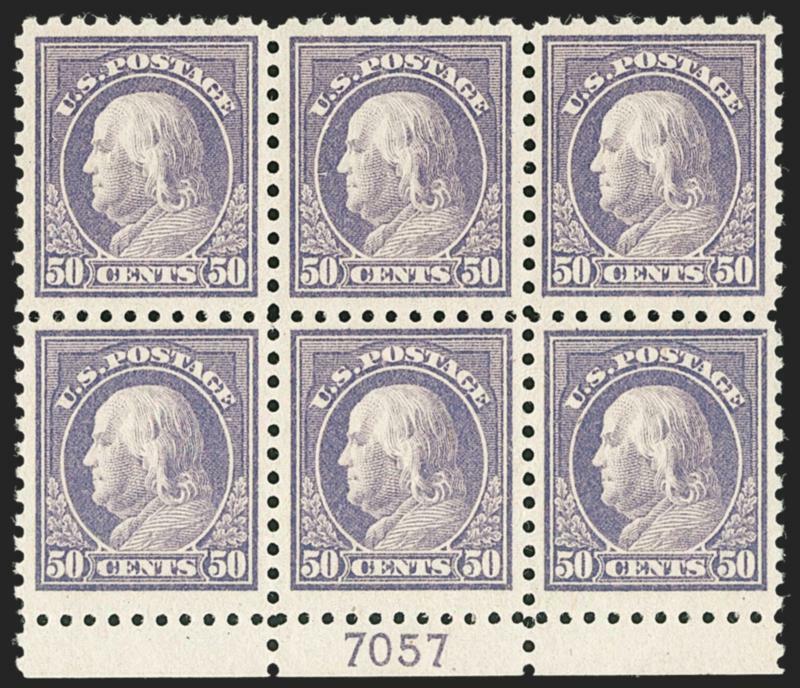 The 50¢ Franklin on unwatermarked paper with 10-gauge perforations was available in post office stocks for a very brief period in 1917, because it was released shortly before the introduction of the new Perf 11 series. 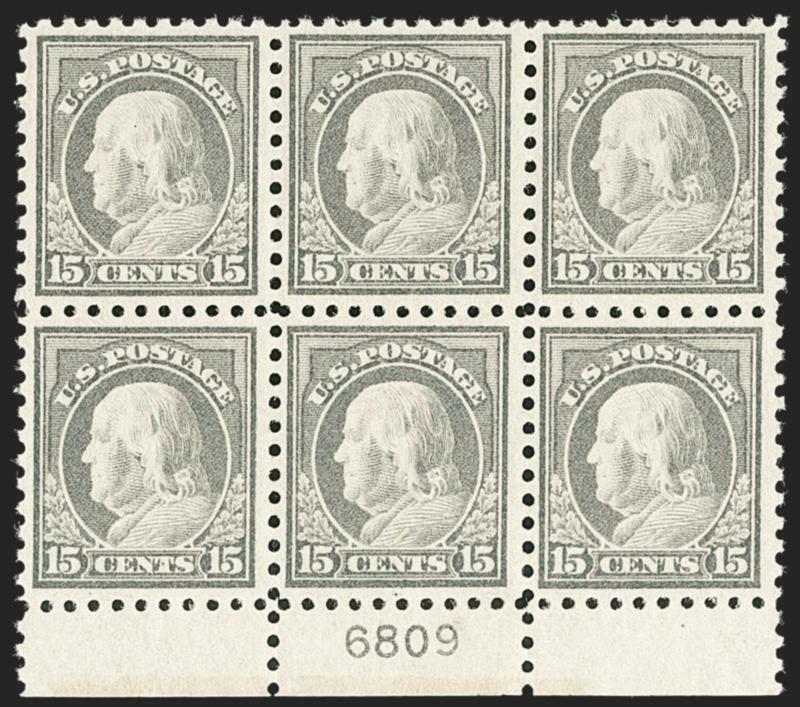 Its predecessors--the 50¢ Perf 12 on single and double-line watermarked paper (Scott 421 and 422), and the Perf 10 on single-line watermarked paper (Scott 440)--were available for much longer periods of time.